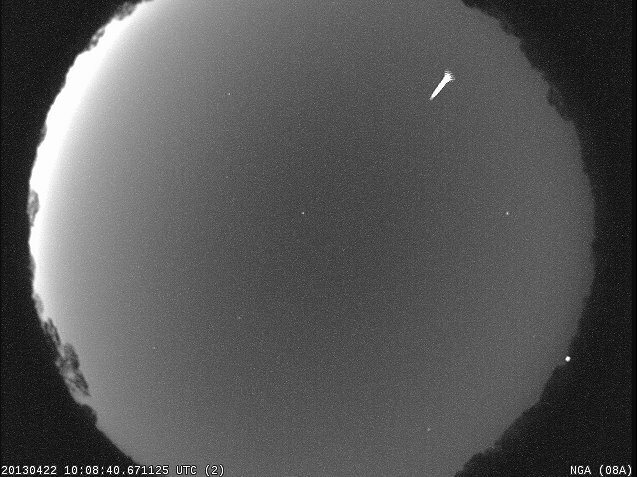 A Lyrid meteor streaks though the dawn sky over North Georgia College and State University. Moving at 105,800 mph, this inch-diameter piece of Comet Thatcher lasted less than one and a half seconds, burning up 46 miles above Earth’s surface. 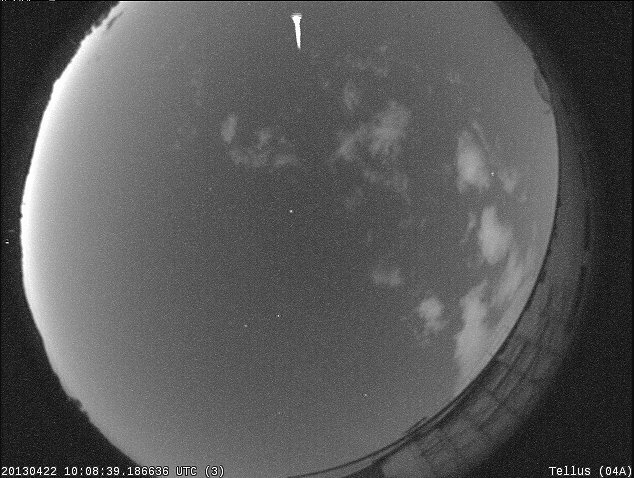 The second image shows the same meteor seen from the Tellus Science Museum located in Cartersville, GA, some 50 miles distant. By measuring the change in the meteor’s position (triangulation), we can determine its trajectory and speed. Lyrids are pieces of debris from the periodic Comet C/1861 G1 Thatcher and have been observed for more than 2,600 years. In mid-April of each year, Earth runs into the stream of debris from the comet, which causes the Lyrid meteor shower. You can tell if a meteor belongs to a particular shower by tracing back its path to see if it originates near a specific point in the sky, called the radiant. The constellation in which the radiant is located gives the shower its name, and in this case, Lyrids appear to come from a point in the constellation Lyra.